Académico del Instituto de Estudios Humanísticos “Juan Ignacio Molina" de la Universidad de Talca (Chile). Director de Universum. Revista de Humanidades y Ciencias Sociales. Doctor en Lógica y Filosofía de la Ciencia por la Universidad de Cádiz, España (Grado de Doctor reconocido por la Universidad de Chile). Licenciado en Filosofía y Ciencias de la Educación (Sección Filosofía) por la Universidad de Sevilla, España (título revalidado por el de Profesor de Educación Media en Filosofía en la Universidad de Chile). 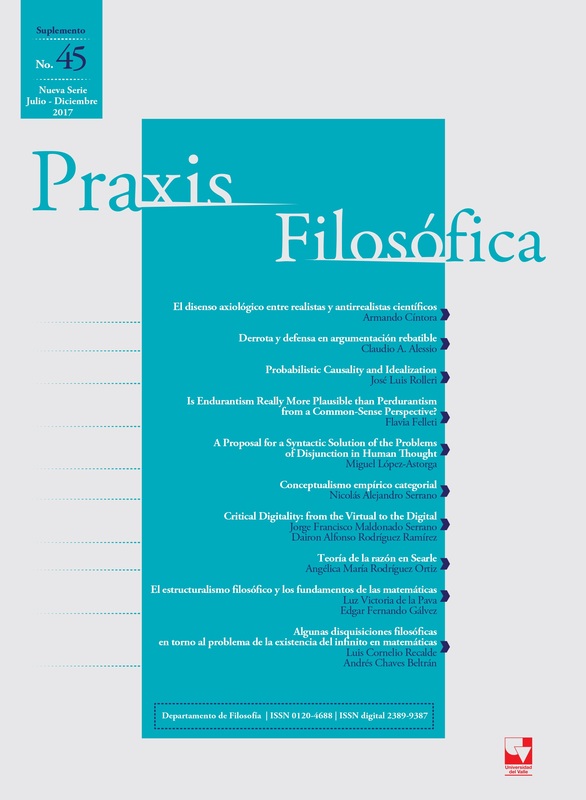 Sus principales áreas de trabajo y de investigación son: lógica, filosofía de la ciencia cognitiva, filosofía de la educación, epistemología, filosofía del lenguaje. Boeri, M. D. & Salles, R. (2014): Los filósofos estoicos. Ontología, lógica, física y ética, Santiago de Chile, Chile, Ediciones Universidad Alberto Hurtado. Braine, M. D. S. & O’Brien, D. P. (Eds.) (1998a): Mental Logic, Mahwah, NJ, Lawrence Erlbaum Associates, Inc., Publishers. Braine, M. D. S. & O’Brien, D. P. (Eds.) (1998b): “The theory of mental-propositional logic: Description and illustration”, in M. D. S. Braine & D. P. O’Brien (Eds. ), Mental Logic, Mahwah, NJ, Lawrence Erlbaum Associates, Inc., Publishers, pp. 79-89. Braine, M. D. S. & O’Brien, D. P. (Eds.) (1998c): “How to investigate mental logic and the syntax of thought”, in M. D. S. Braine & D. P. O’Brien (Eds. ), Mental Logic, Mahwah, NJ, Lawrence Erlbaum Associates, Inc., Publishers, pp. 45-61. Braine, M. D. S., Reiser, B. J., & Rumain, B. (1998): “Evidence for the theory: Predicting the difficulty of propositional logic inference problems”, in M. D. S. Braine & D. P. O’Brien (Eds. ), Mental Logic, Mahwah, NJ, Laurence Erlbaum Associates, Inc., Publishers, pp. 91-144. Fodor, J. (1975): The Language of Thought, Cambridge, MA, Harvard University Press. Gentzen, G. (1935): “Untersuchungen über das logische Schließen I”, Mathematische Zeitschrift, 39, pp. 176-210. Johnson-Laird, P. N. (2012): “Inference with mental models”, in K. J. Holyoak & R. G. Morrison (Eds. ), The Oxford Handbook of Thinking and Reasoning, New York, NY, Oxford University Press, pp. 134-145. Johnson-Laird, P. N. (2015): “How to improve thinking”, in R. Wegerif, L. Li, & J. C. Kaufman (Eds. ), The Routledge International Handbook of Research on Teaching Thinking, Abingdon, UK, & New York, NY, Routledge, pp. 80-91. Johnson-Laird, P. N., Khemlani, S., & Goodwin, G. P. (2015): “Logic, probability, and human reasoning”, Trends in Cognitive Sciences, 19(4), pp. 201-214. Khemlani, S., Lotstein, M., Trafton, J. G., & Johnson-Laird, P. N. (2015): “Immediate inferences from quantified assertions”, The Quarterly Journal of Experimental Psychology, 68(10), pp. 2073-2096. López-Astorga, M. (2015a): “The disjunction introduction rule: Syntactic and semantic considerations”, Pragmalingüística, 23, pp. 141-149. López-Astorga, M. (2015b): “The case of the conditionals with disjunctions embedded into their antecedents: Mental logic versus semantic models”, Universum, 30(2), pp. 143-152. López-Astorga, M. (2016a): “Mental logic and its difficulties with disjunction”, Círculo de Lingüística Aplicada a la Comunicación, 66, pp. 195-209. López-Astorga, M. (2016b): “Towards an updated reasoning formal theory”, Aufklärung, 3(1), pp. 11-32. López-Astorga, M. (2016c): “Mental logic and the denials of conjunctions and disjunctions”, Trans/Form/Ação, 39(1), pp. 119-138. López-Astorga, M. (2016d): “General conditionals in Stoic logic”, Φιλοσοφια (Philosophia), 17(2), pp. 200-208. Macnamara, J. (1986): A Border Dispute: The Place of Logic in Psychology, Cambridge, MA, Massachusetts Institute of Technology (MIT) Press. O’Brien, D. P. (2009): “Human reasoning includes a mental logic”, Behavioral and Brain Sciences, 32, pp. 96-97. O’Brien, D. P. (2014): “Conditionals and disjunctions in mental-logic theory: A response to Liu and Chou (2012) and to López-Astorga (2013)”, Universum, 29(2), pp. 221-235. O’Brien, D. P. & Li, S. (2013): “Mental logic theory: A paradigmatic case of empirical research on the language of thought and inferential role semantics”, Journal of Foreign Languages, 36(6), pp. 27-41. O’Brien, D. P. & Manfrinati, A. (2010): “The mental logic theory of conditional proposition”, in M. Oaksford & N. Chater (Eds. ), Cognition and conditionals: Probability and Logic in Human Thinking, Oxford, UK, Oxford University Press, pp. 39-54. Orenes, I. & Johnson-Laird, P. N. (2012): “Logic, models, and paradoxical inferences”, Mind & Language, 27(4), pp. 357-377. Ragni, M., Sonntag, T., & Johnson-Laird, P. N. (2016): “Spatial conditionals and illusory inferences”, Journal of Cognitive Psychology, 28(3), pp. 348-365.